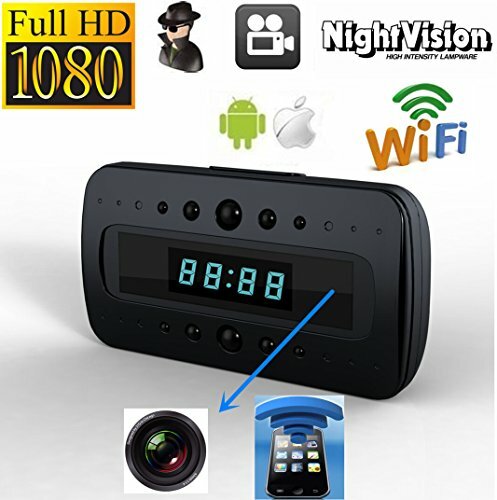 2015 WIFI IP Hidden Clock camera! This unit makes a great Nanny camera, perfect for home surveillance, theft prevention, and countless other uses. Easy to setup WIFI and IP Camera. To use the P2P/ WIFI feature, just plug it in the wall, select the Clocks WIFI network on your mobile phone and use the prescribed mobile phone app to operate the many functions of the camera. 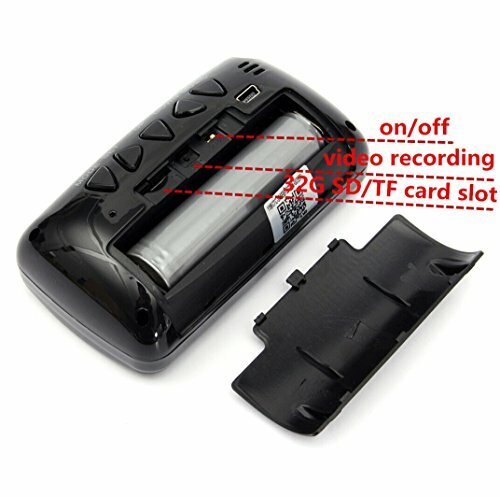 Record video and take pictures directly to your mobile phone. Once the camera is connected to your router, via the built in WIFI, access your video from anywhere you have LTE/3G on your mobile device. Also comes with a program to view video from any windows computer. 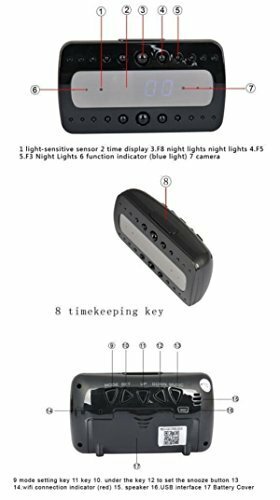 MOTION DETECTION & INFRARED: To save on memory space and electricity, the Spy Alarm Clock's hidden camera can be set to record only when motion is detected. It is also equipped with infrared capabilities, which helps it capture the scene even when there is no light in the room, keeping you informed of any happenings in the dark of night.